When selecting apps for my CTV app reviews I always start by thinking “Is there a major holiday or festive day coming up?” If there isn’t, I usually go to my next question “Is it the beginning of a season? !” Usually I can answer yes to one of those questions which will launch me into my research for the best apps for that holiday/season. I found the following 3 apps and thought they would be perfect for the kick off to spring! Spring cleaning time!! When the snow melts away and the sun begins to shine, there is no better time to get your house in tip top shape. 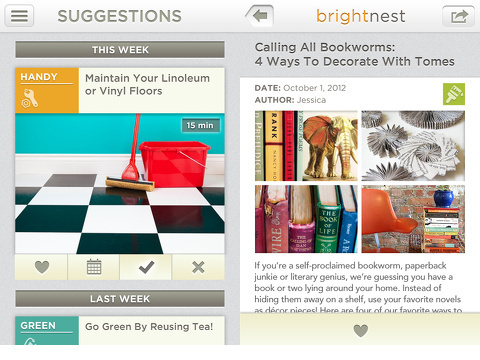 BrightNest can help you not only with cleaning suggestions, instructions and tips, but they can help you organize, save money, go green, reduce clutter, maintain your home, live healthier and be more creative! What I really liked about this app was it’s simple set up process. It took me through a series of questions about what I would like to accomplish (clean, maintain, organize, etc.) and then gave me suggestions for tasks to accomplish. One of the main appeals of this app is that it is bright and friendly and shows you visually what the tasks is as well as the time it should take to accomplish. Once you have selected a tasks it tells you “Why do this?”, “What you’ll need” (supplies)”How to” and the level of difficulty of the task. Once you have completed your tasks you can share or see other related topics. 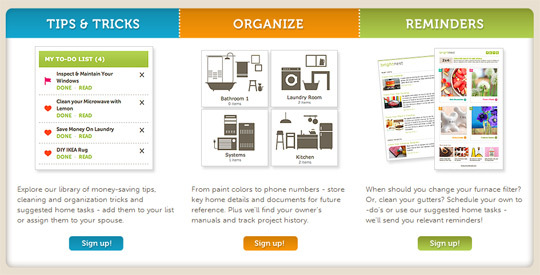 You can also add tasks to your favorites list so you can explore them later. I am actually really glad I found this app and am looking forward to exploring all of the tasks it suggests! One of the best things about spring is all of the garden-fresh veggies and fruits! I myself have never grown a garden as I have more of a brown thumb than a green thumb, but I certainly appreciate the art of growing a garden! Our Interaction Designer, Andre Doucette, is a certified Green Thumb and found the Gardening Toolkit app that can give you advice on what to plant and where to plant it. The app also tracks what you have grown, allows you to keep notes, and has a photo-filled encyclopedia of more than 1000 plants. The toolkit takes into account where you live, what season it is and when frosts are likely. It uses this data to make a list of suggested plants for your garden so you don’t have to spend hours pouring over gardening books. Get out there and start gardening! With the return of the nice weather a thought usually hits most of us “It’s PATIO SEASON! !” (well, those of us who live in a cold climate!). For some reason sitting on a patio or a deck just makes food tastier and drinks yummier. This patio excitement led me to find the Tastemade app. Tastemade wants to connect the world through food. They’re empowering a new creative class to create amazing video programming for the modern media age. 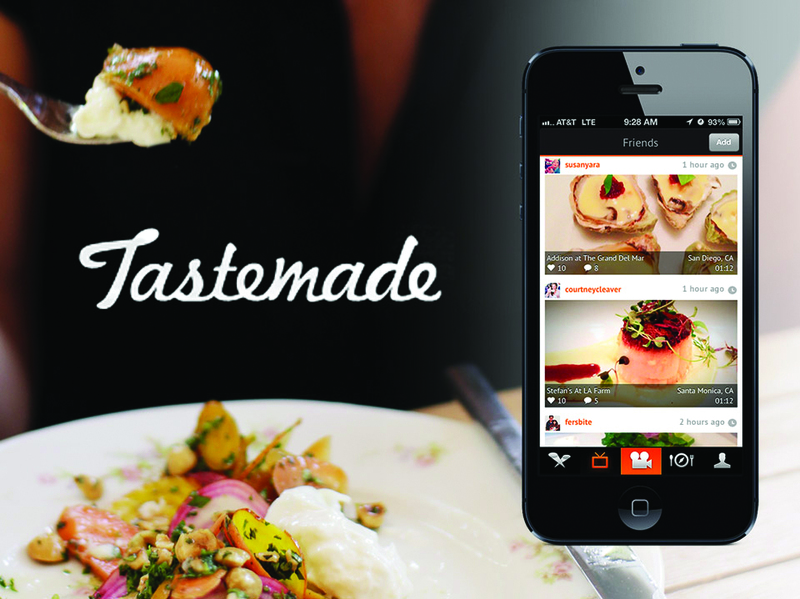 Tastemade allows you to make beautiful videos of the restaurants that you visit. Though Tastemade has only been launched for a few months people have posted videos in over 300 cities and in over 13 languages! I had the pleasure to chat with the Tastemade founders on the phone and they expressed how they wanted to share their passion for destination and dishes and make something possible that wasn’t possible before. They wanted the app to be fun, simple and fast for anyone who wanted to their their passion. After creating my own video for Moka Coffee Bar I can tell you it is very simple, fast and most of all fun! 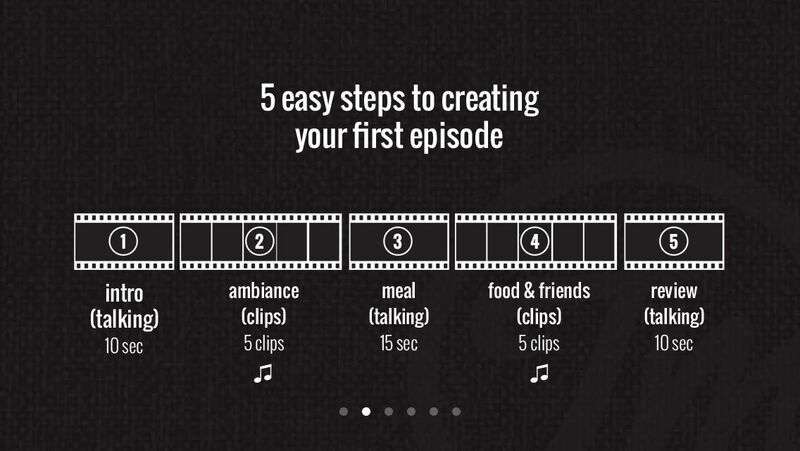 The app walks you through all of the steps it will take to produce an amazing video. You start by giving an introduction, followed up shots of the food, ambience, friends eating and laughing, and finally wrap up with a closing shot. The app couldn’t be easier to use and very customizable with different filters, music and fonts. Hope you enjoyed these apps and that they got you in the mood for spring! Make sure to share your Tastemade video with us!